A few years ago, I became a dog owner for the first time. It was really hard leaving for work and having Cody in the kennel alone all day. I had a webcam on him, but I couldn’t watch it all day long. What if he was in some kind of distress? What if there was a emergency at the house, like a fire? Here’s the basic idea. 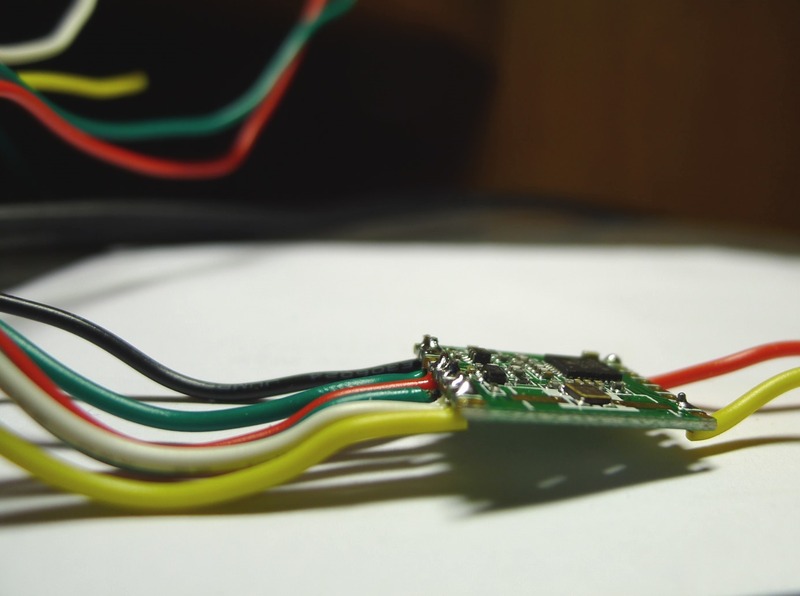 With Arduino, it’s really easy to connect boatloads of cheap sensors. 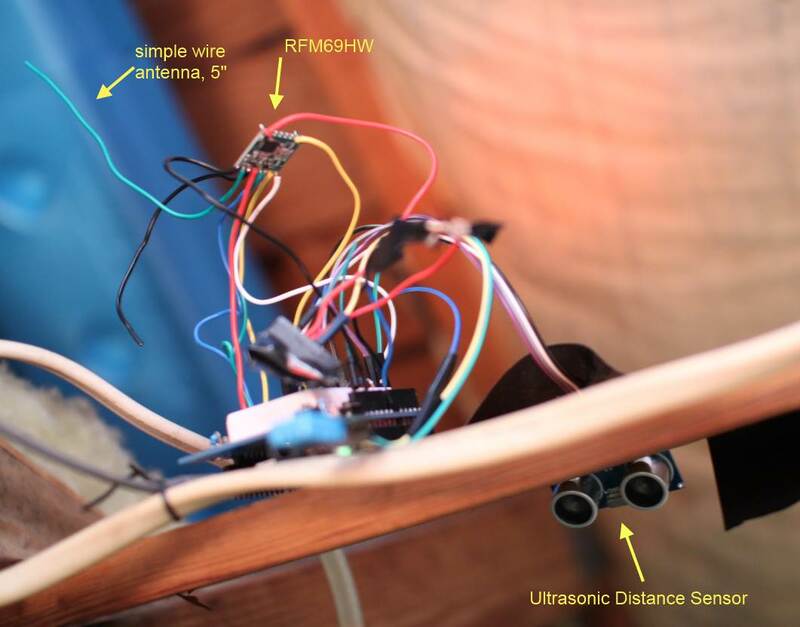 Using this setup, that boatload of cheap sensors can now be on the internets. 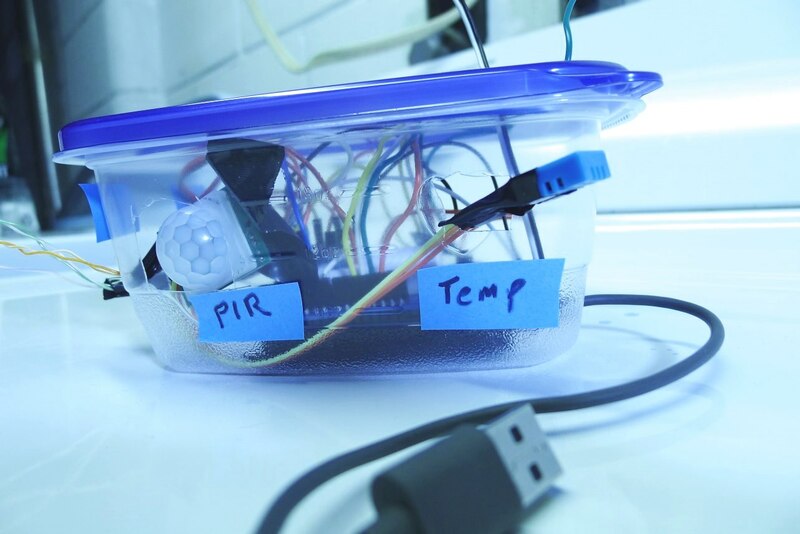 They can email you when things get too hot, too cold, too smokie, too gassy, or too bright. And your dog can email you by barking! You can also view the status of sensors on your smart phone. 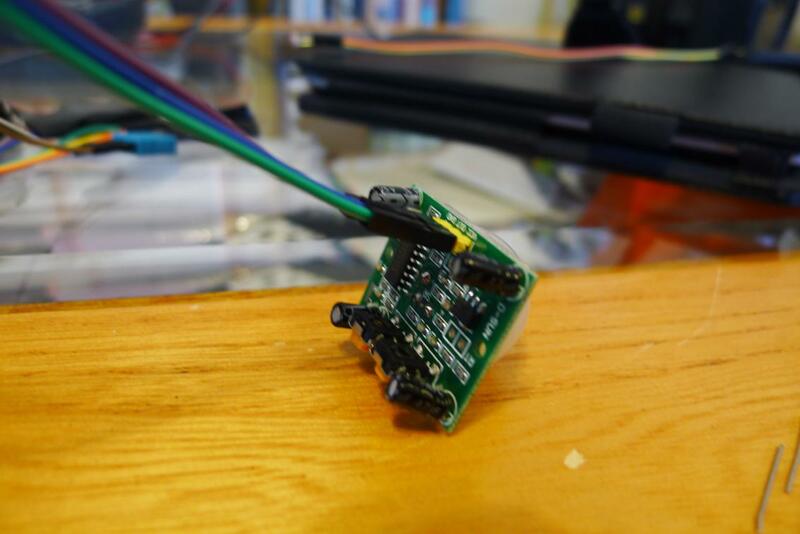 These sensor nodes are wireless, so you’re not constrained by the location of ethernet ports. 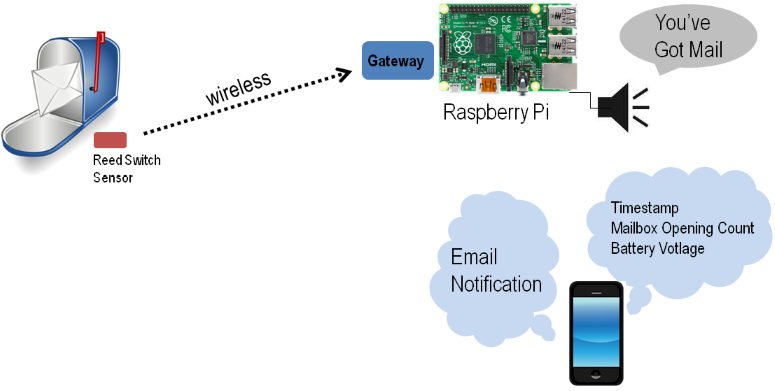 This Instructable will be a tutorial for how to build a variety of wireless sensors, and how to integrate these sensors with OpenHAB to get a system that fits into the way you naturally look for information. Aside from looking at a mobile app to see what’s happening, you’ll also receive timely email and audible notifications. 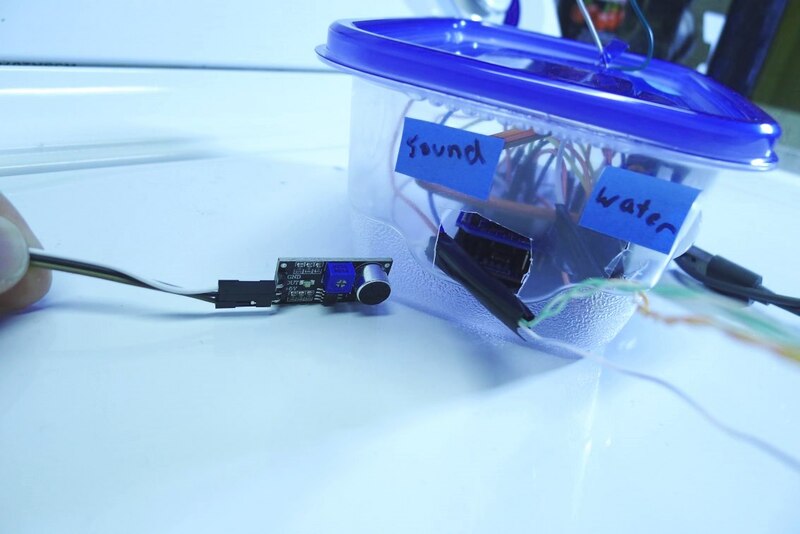 This is a long Instructable, but you can jump to the sensor you’re interested in building. 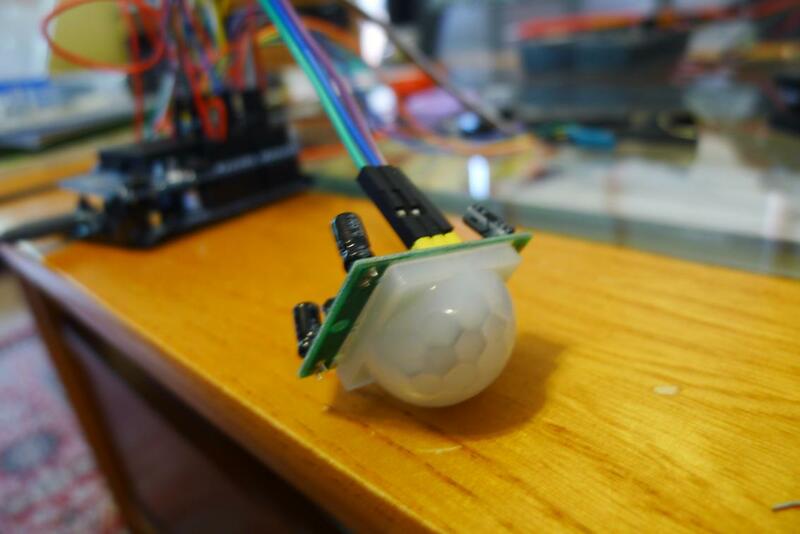 So, here’s the list of sensors in this Instructable. I want to provide a home with the full range of human senses. Your home should be smart and sensitive…there’s a joke in there somewhere. 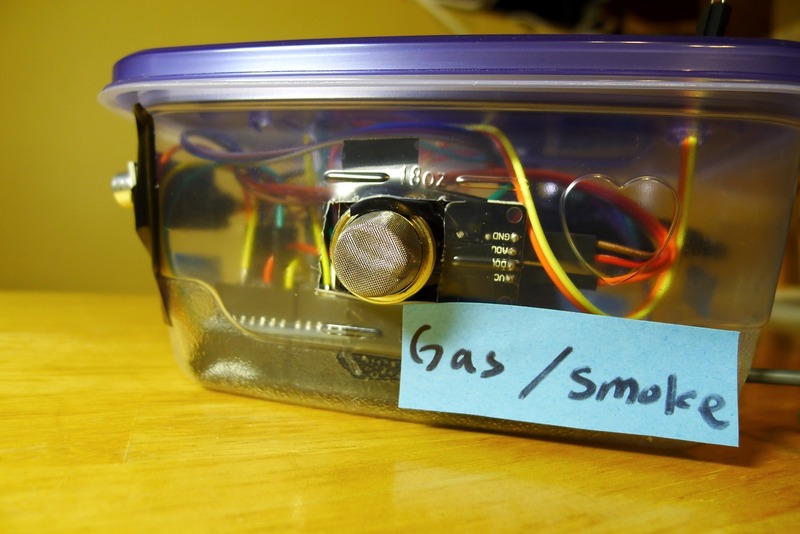 Place this near the monitoring area to get email notifications of loud noise. I use it to get an email if my dog barks in the kennel, so that I can open up my kennel webcam and see why he barked. I’m lucky to have a dog that doesn’t bark very often, so when he does it usually is a cause for concern. Get an audio reminder when washer/dryer cycle completes - something like a “Washer Complete” announcement in the living room instead of playing a loud buzzer in the basement. No more forgetting laundry in the washer or wondering if it’s done yet. Check the status of the washer/dryer using the smart phone app, which also keeps track of whether the load has been picked up. Temperature and humidity is reported to the mobile app. Optionally, you can enable email notifications when temperature dips below/above some preset value. Helpful for detecting furnace or air conditioner failures. 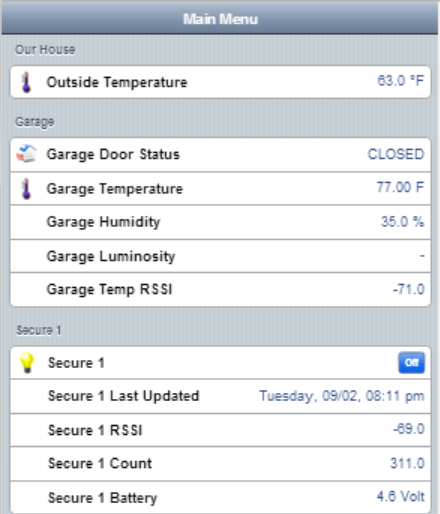 You can also view a chart of temperature data using OpenHAB. 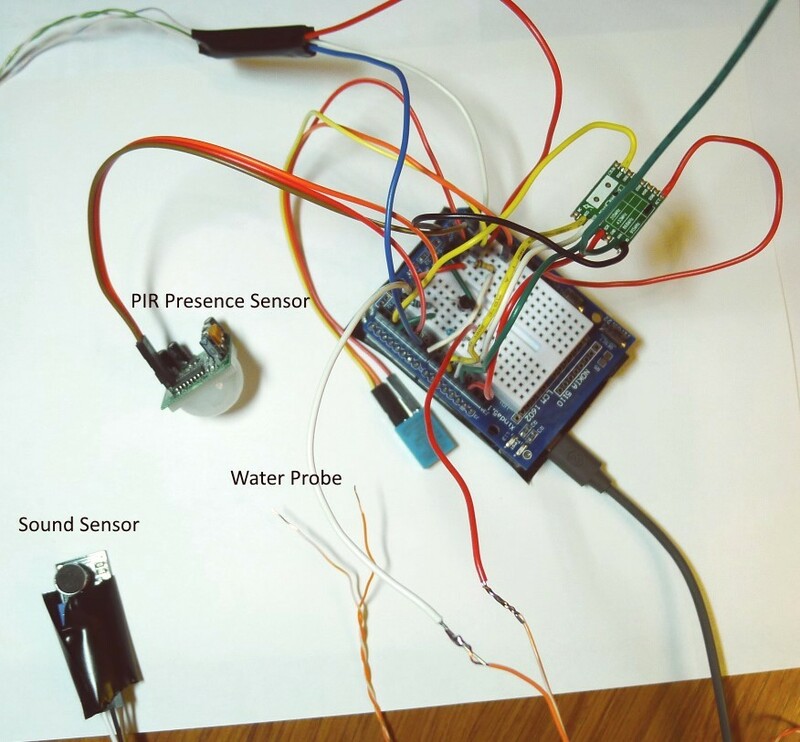 Get an email notification and/or audio alarm when a water leak is detected. 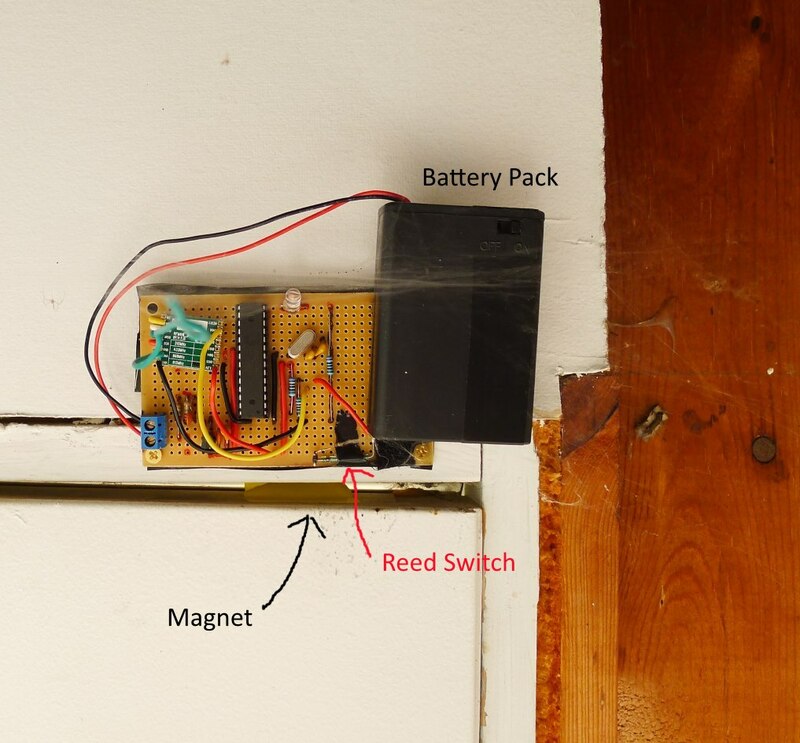 A battery powered reed-switch sensor that can set off an audible alarm, or send an email notification to your smart phone. Can be used to secure doors, windows, mailboxes, or drawers. It also logs the time the event happened, as well as the remaining battery capacity on the sensor. This is handy if you can’t see your garage door. 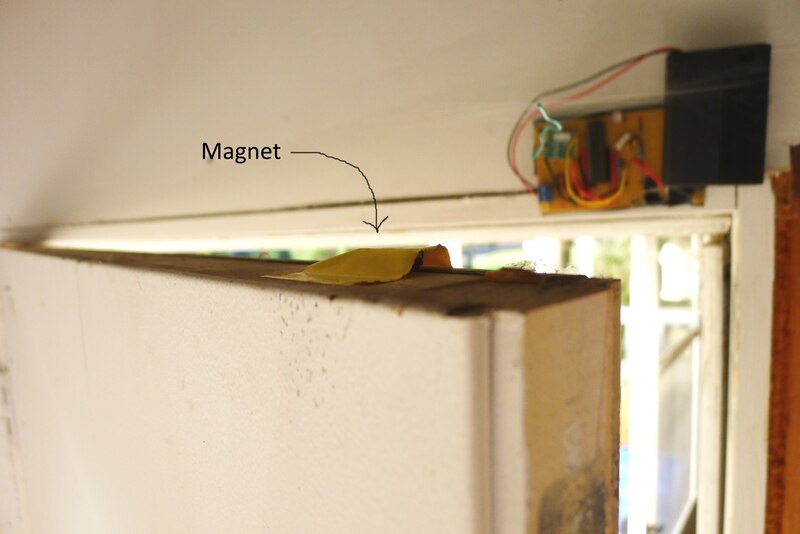 Use a smart phone to check whether your garage door is opened or closed. You can also set it to play an audio reminder at, say 10PM, if the garage door is still opened. If there is any other home sensing thing you’d like an example of, add a comment and I’ll try to get a sensor for it or use an existing sensor to fill the need. 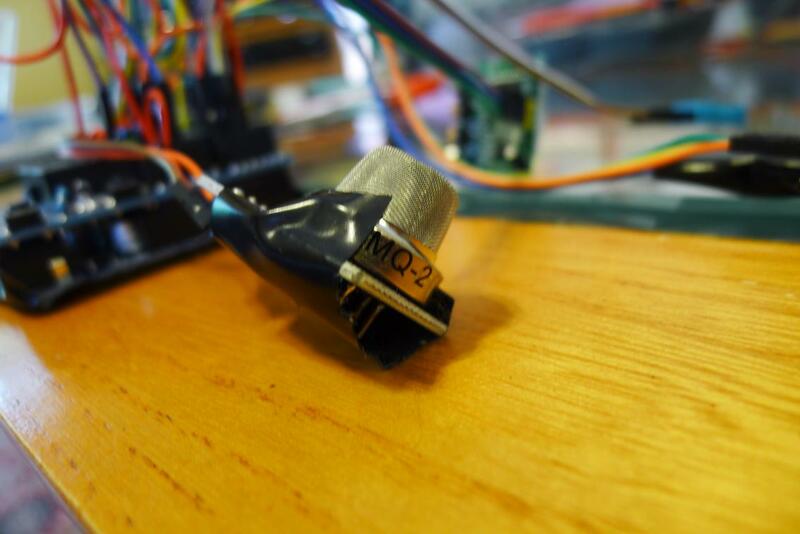 I’ve worked hard to add more sensors to the system because I want to have something for everybody. It’s only in the aggregate that this system makes sense - a bunch of one-off sensors don’t really create a coherent home automation project. If you like this, please consider voting for me in the Instructable Contests using the vote button on the upper right. I would appreciate it. 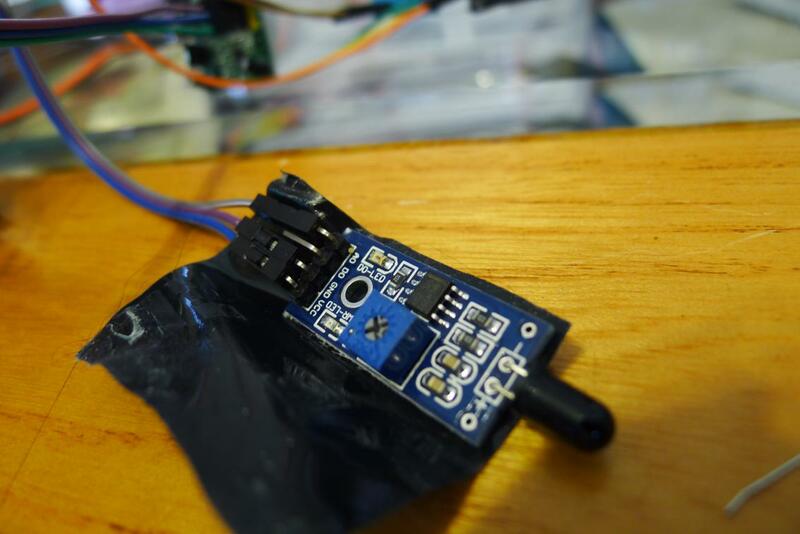 Cheap - each sensor node is only $20, including the wireless transceiver. Flexible - I’m providing the design for wall-powered sensors as well as energy efficient battery powered sensors that can run for a year on 4xAA batteries. Best wireless solution - the RFM69HW in this project is energy efficient and has great range. Many other wireless solutions make compromises. Bluetooth is energy efficient, but poor range. Wifi has ok range, but can’t be battery powered for a year. Attractive and secure user interface - the OpenHAB UI is available as a mobile app (Android and iPhone), but is also accessible through any web browser. And the communication between the display device and the Raspberry Pi is done using encryption and authentication. So your home automation system stays private. The heat map below shows the range of the RFM69HW wireless transceiver used in this project. I produced the map using a GPS module connected to an Arduino with a RFM69HW transmitting the coordinate. I walked around outside with this GPS Arduino while another Arduino sitting inside my house received the GPS coordinate every second. I then mapped the GPS points. 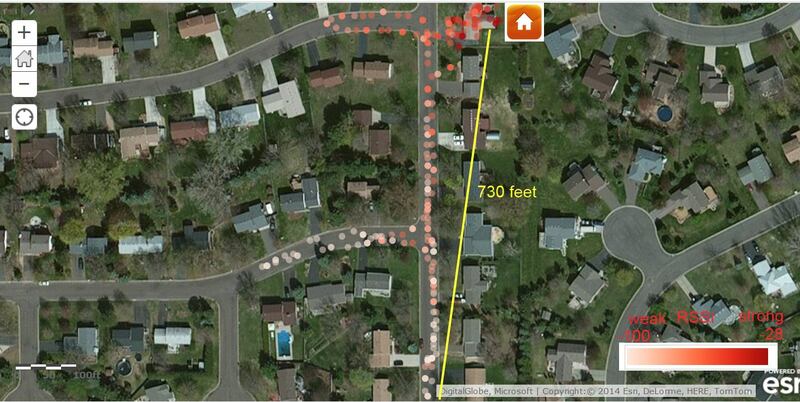 I’m able to send data 7 houses away, through many walls. Zigbee, bluetooth, Z-wave, and wifi can’t do this for just $4. This is an example page from the user interface. This project doesn’t require hugely expensive equipment. The technical challenges are surmountable. And the outcome is pretty cool. If you’re not using a Raspberry Pi as the server, download the Mosquitto install for a Windows or Mac. It’s very easy to say in a tutorial “install this”. But let’s face it, for new Linux users, there will be problems that aren’t covered in the tutorials. Just being honest here. Things like permissions (sudo), start up issues (chmod on the init.d file), or just transferring files to the Raspberry Pi (“mount” USB drive). Just don’t expect to be able to finish the installation quickly if you’re new to Linux, and be prepare to google. Feel free to ask questions in the comments, I know how frustrating Linux can be. If all else fails, there’s always the option of using the Windows version of OpenHAB and Mosquitto. The great thing about OpenHAB is that the operating system doesn’t matter - you can start on Windows and move to Linux at a later date and all the configuration files can just be moved over and it’ll work. If you’re new to Arduino, I recommend some research on how to make a bread- board Arduino, since this is what it is. 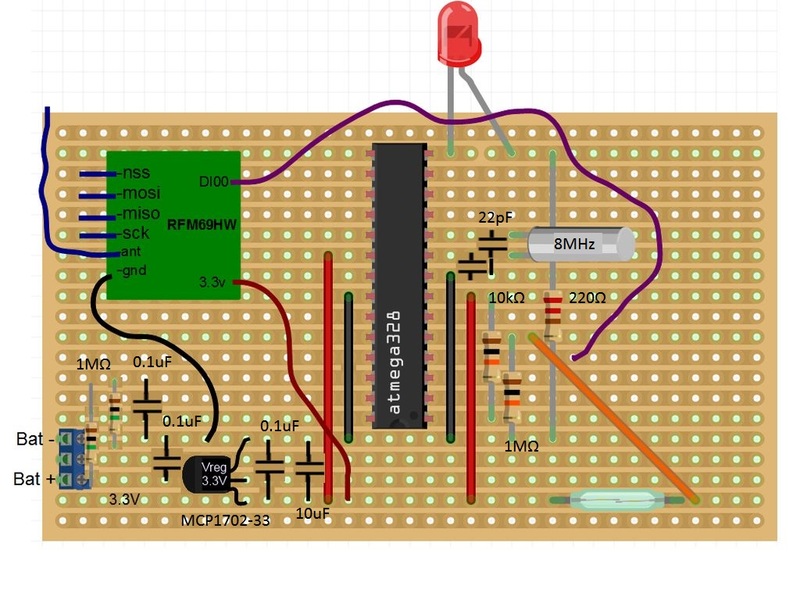 Do a search on putting Arduino onto a bare bones ATMEGA328P-PU. Notice that the Arduino is running on the Pro/Mini 8MHz bootloader in my build. You can use either 8MHz or 16MHz, but 8MHz conforms to the Atmel specification for 3.3V operation. 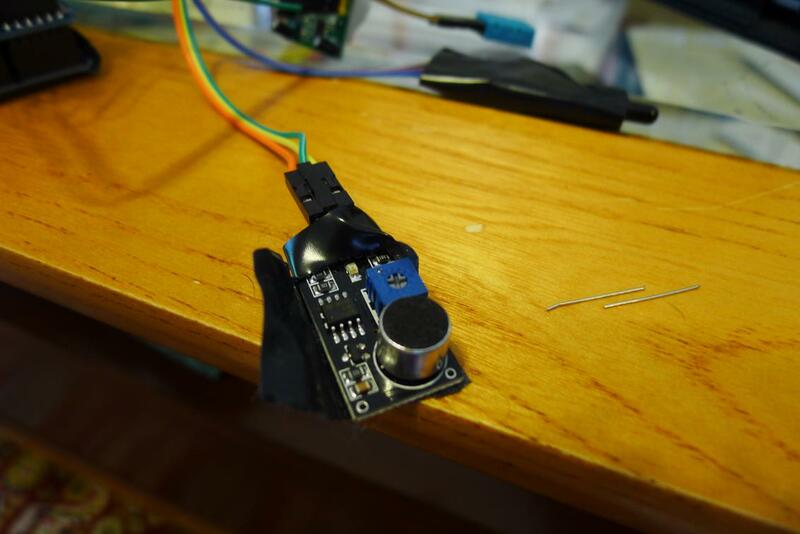 Bark / Noise Sensor: Pretty sensitive when pointed in the right direction, and includes a sensitivity pot for adjustment. I ’m using it to notify me if the dog barks. The system emails me when sound sensor goes off, as well as turning on an indicator on the OpenHAB display. 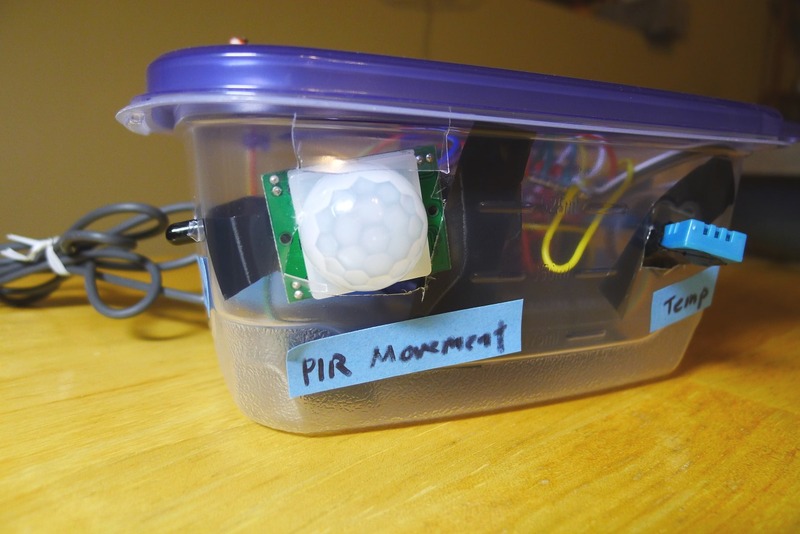 The PIR (passive infrared) sensor costs less than $3 each from everyone’s favorite online sensor store, ebay. Just do a search for PIR sensor and look for something that resembles the pictures here. Follow the wiring diagram above for hookup. 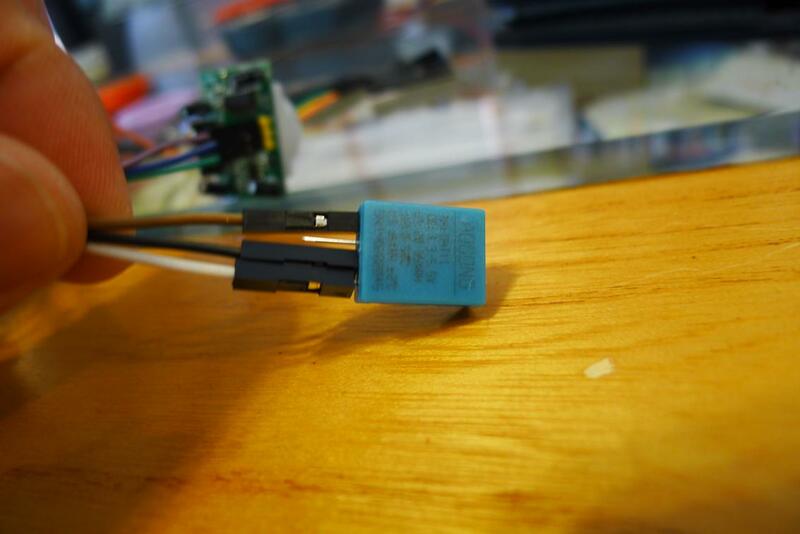 Note that the sensors have a sensitivity pot and a hold-time pot. The hold time isn’t very important for our use, but you should adjust the sensitivity to something reasonable. You can set the sensor to ignore a dog in a kennel for example, but still catch an intruder. If you have a free-range dog or cat, it’s a bit trickier to set the sensitivity. You can use black electrical tape to cover up part of the globe if you want to narrow down the monitoring area. I’m using the sound sensor to send me email notifications if my dog barks. 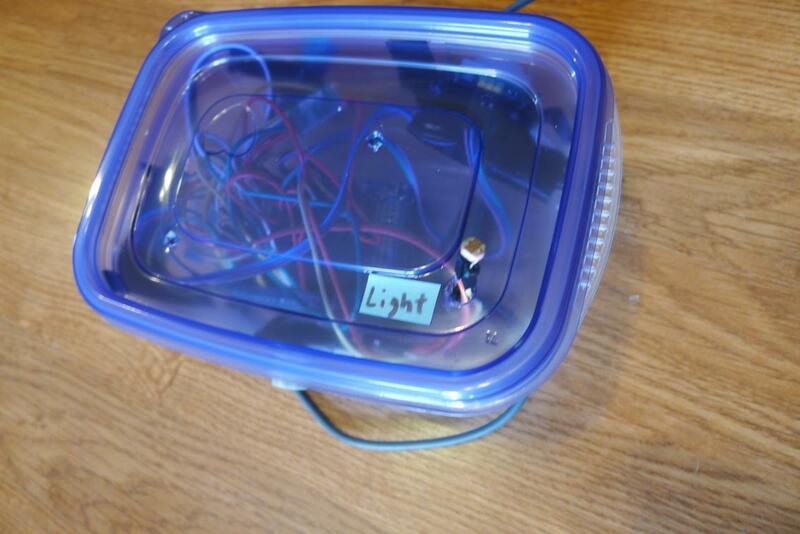 But this can easily be used for other purposes - like monitoring if an alarm is going off inside the house. The sensitivity of the sensor is easily adjustable. If your house is like mine, you have the laundry room in the basement. When I was single, I only went down to the basement once a week, so problems went unnoticed. Forgetting a load of wet laundry was really disgusting. The laundry room light sometimes got left on the entire week. And I couldn’t tell if if the washer/dryer was still running without going down stairs. Only the dryer buzzes, and sometimes I’d miss it. Now that we have a baby, we’re doing laundry every other day it seems, so it’d be nice to have a dashboard view to tell us if the washer/dryer is running. And instead of having a dryer buzzer down stairs, I wanted the audible signal for both washer and dryer up stairs. The intention is to display the washer and dryer status on a smart phone or tablet in the kitchen or living room - somewhere that you can easily glance at. 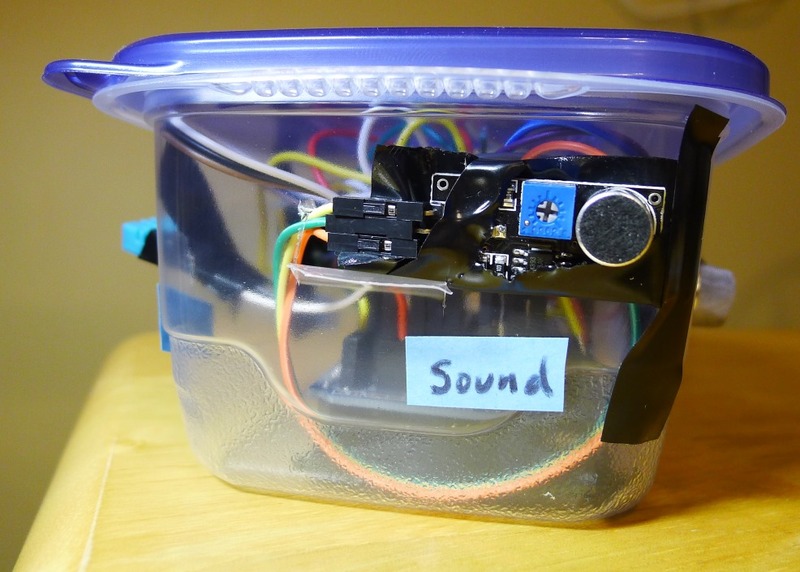 Similarly, the Raspberry Pi and speaker would also be sitting in the living room so that the audio announcements are more likely to be heard. The audio signal for washer completion or dryer completion can be a friendly sounding MP3 file. Heck, you can record your own voice saying “get the laundry!” and use that sound file if you want. In the demo, I used the ugly robot voice to say “washer complete” or “dryer complete” because text to voice is available by default in any OpenHAB installation. By now, you’ll have gotten down the drill. 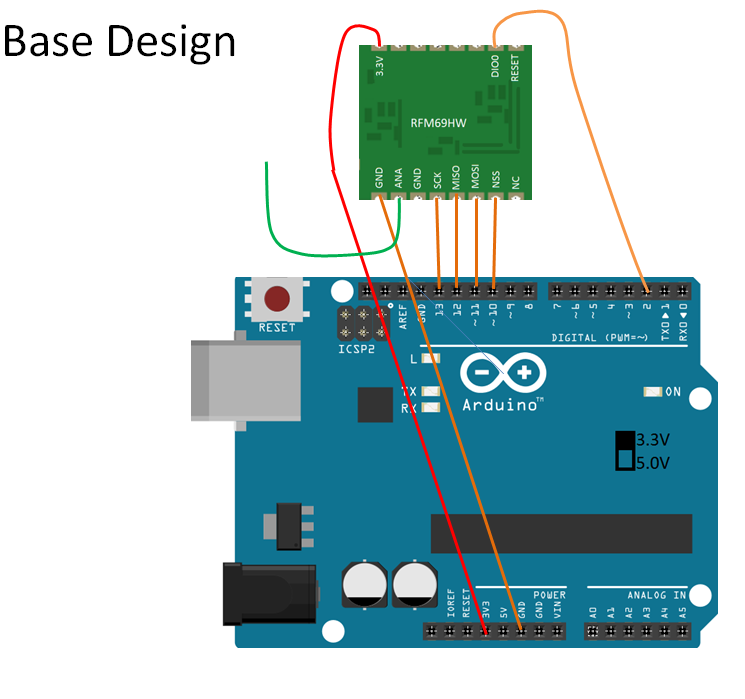 Assemble the sensor on the Arduino using the schematic and the photos. 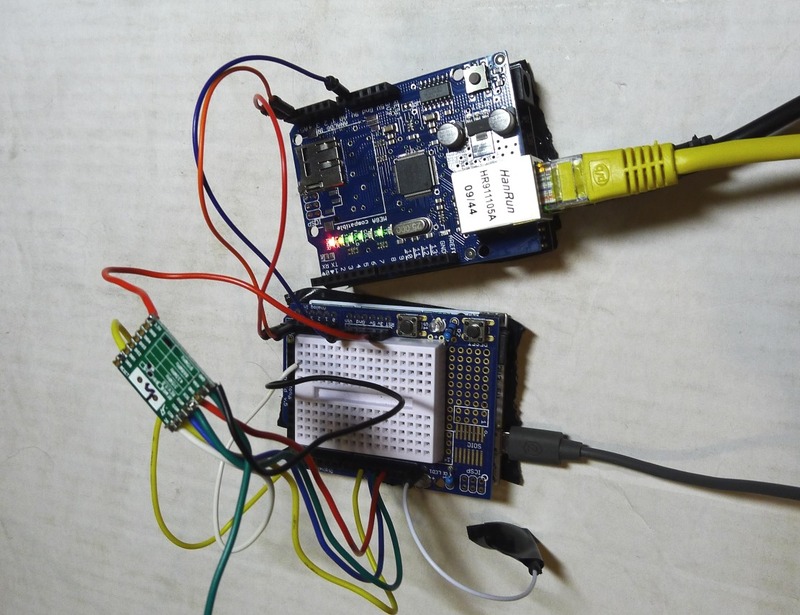 Download the sketch to the Arduino. Configure the OpenHAB using the configuration text file attached. Perhaps “uber” is too bombastic a title. My setup isn’t perfect. Here’s the list of deficiencies and bugs, from the most to the least glaring. Thanks to commenters for making it obvious that I should add this step. 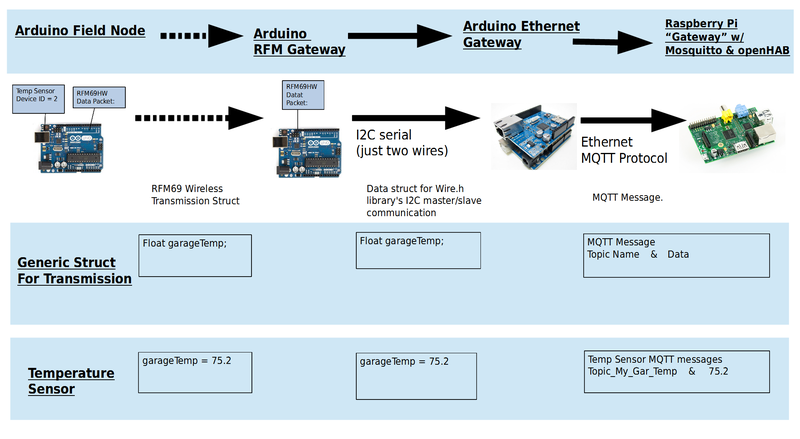 The RFM and Ethernet Arduino gateways can be combined into one. It should be just a simple one-line edit to the RFM69 library. 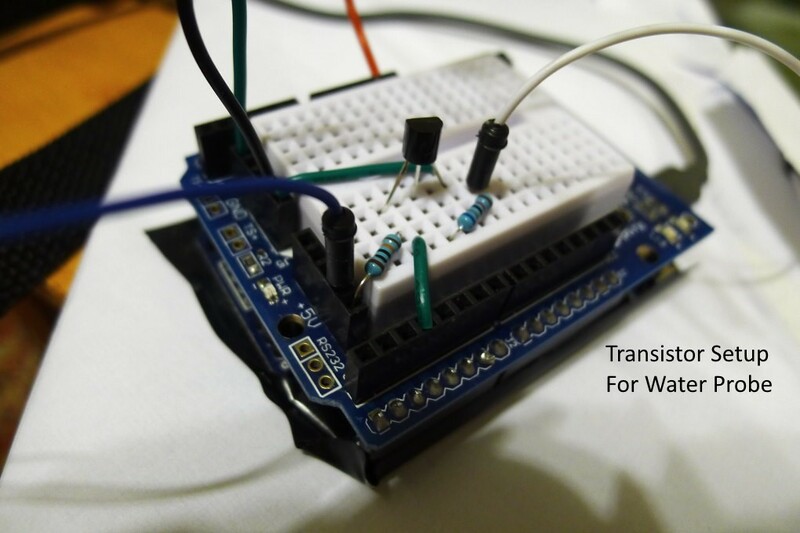 When I was making the gateway, I had some poorly soldered transceivers and got confused. 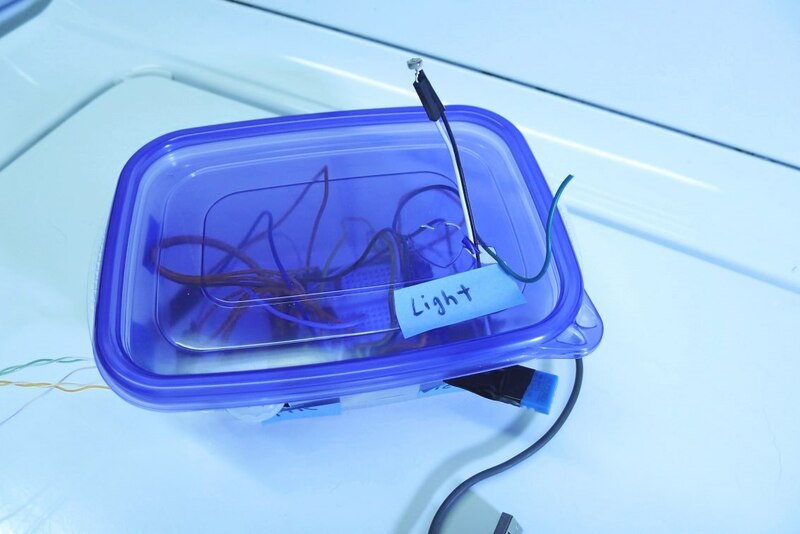 I haven’t gone back to fix the problem…because I’ve been too busy working on this Instructable. It is sloppy claptrap programming on my part. I don’t actually talk to my field nodes - the field node to base communication is single-direction only. All of my sensor demos can be done with uni- directional wireless comms, but admittedly bi-directional communications would be more efficient for the security sensors. There’s no technical reason why the RFM gateway can’t talk to the RFM nodes…other than it requires a more thoughtful approach to the communication scheme…you know, the actual programming part. I also don’t acknowledge the wireless transmissions from the field nodes. No reason why not to ack, since it’s actually built into the RFM69 library, and not acknowledging actually wastes wireless transmissions because I transmit- with-retry on most nodes. It would make the sensors more robust. The fix would require a bit more code on the transmitter end, but not too bad. 1. Spend more time with my 8 month old. Seriously though, if someone wants to improve on the gateway, please fork my Github! I would welcome the improvements. That said, I’ve had the garage door monitor for months, and the battery powered security door since mid-August, and both have been working great. I tried as much as possible to make this tutorial accessible to most people. This isn’t one of those projects that require a 3D printer, a CNC machine, and hundreds of dollars. Nor is it a project that makes use of one-off items that others can’t replicate. I’ve tried to point out workable alternatives to some of the more technically difficult portions. I think beginner Arduino users would have no problems making the wall-powered wireless sensors work. If you’re interested in making this project, go for it! For the few places you might get hung up, here’s what you can do. Linux. The Raspberry Pi is a good, cheap, lower powered option for the web server. 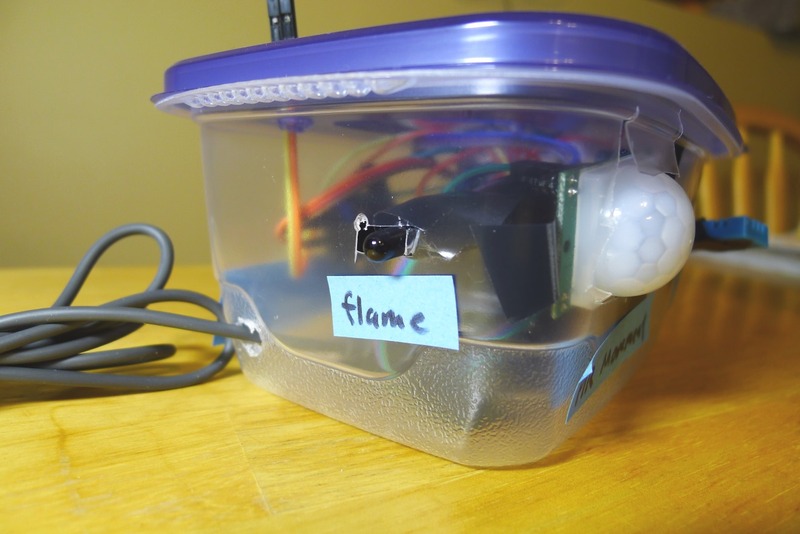 But if you don ’t want to use Linux and just want to get this home automation project off the ground, no problem! 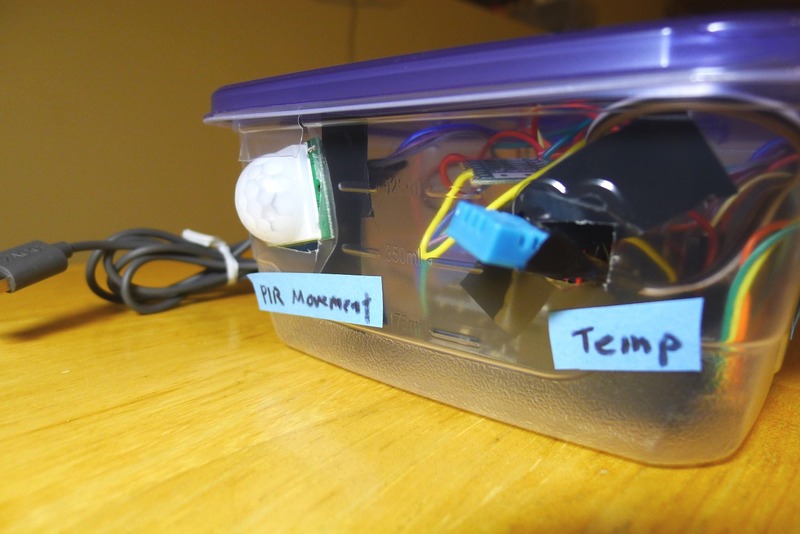 Both OpenHAB and Mosquitto can be installed on a PC or Mac. So the host machine doesn’t have to be a Raspberry Pi. The configuration files work on any OS without change. 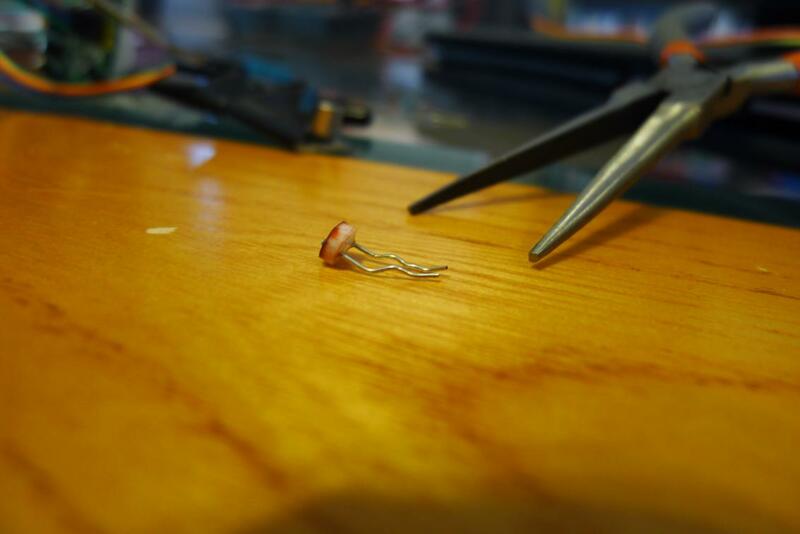 Soldering. 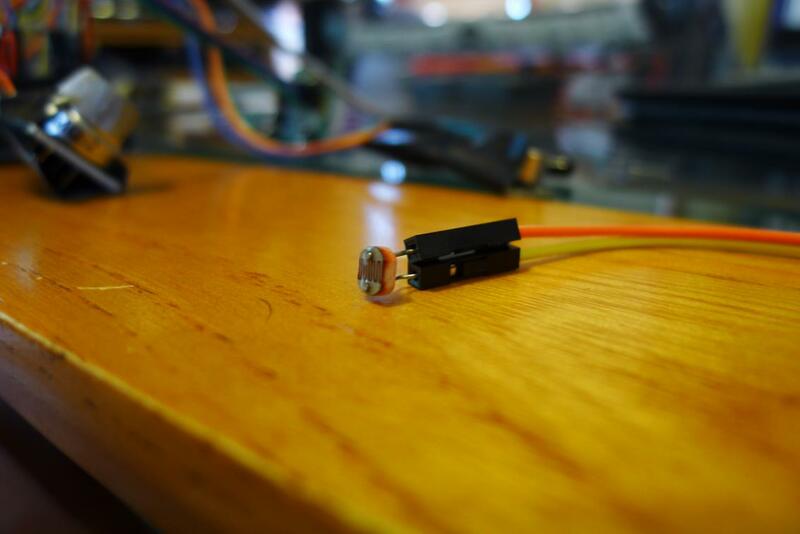 It takes me quite a while to solder the battery-powered Arduino sensor. 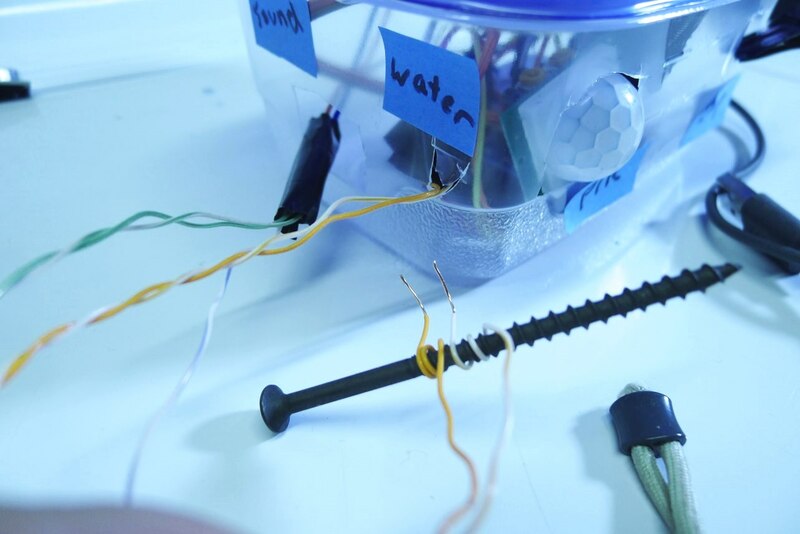 If you want to get started quickly, just stick with the wall-powered Arduino sensors first. 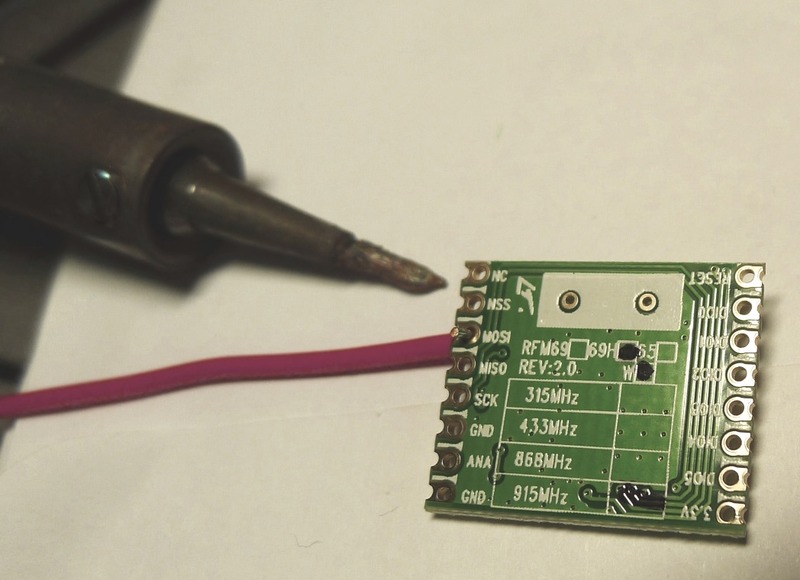 You ’ll still have to solder wires to the wireless transceiver, but that part is pretty doable. Serial monitor is your friend! On the Arduino sketches, I kept the useful troubleshooting printout statements in the code. If you ’re having trouble, just connect the sensor node Arduino to your computer and view the output on the Arduino serial monitor. I can take credit for the Arduino sketches that form the gateways for this project. As far as I know, no one has published a way for translating RFM69 wireless data into something that OpenHAB understands. 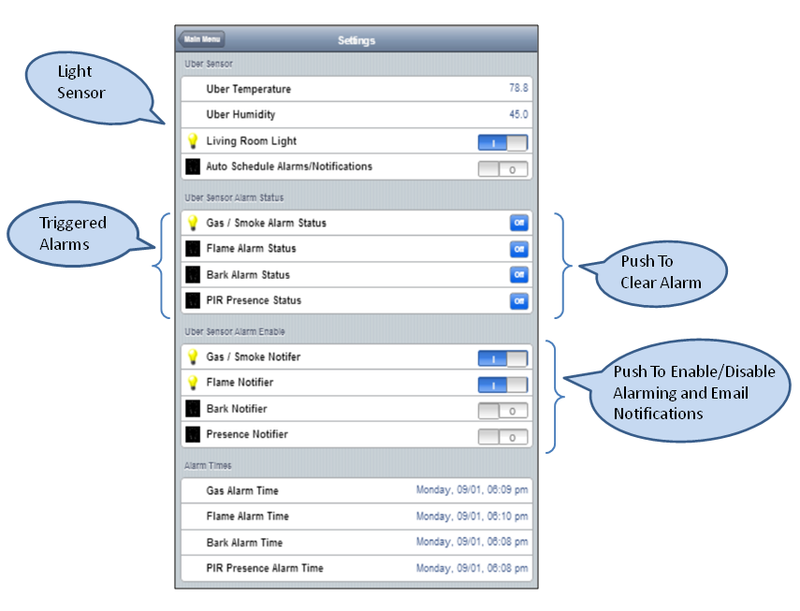 I appreciate all the open source projects out there that made my home automation setup possible. 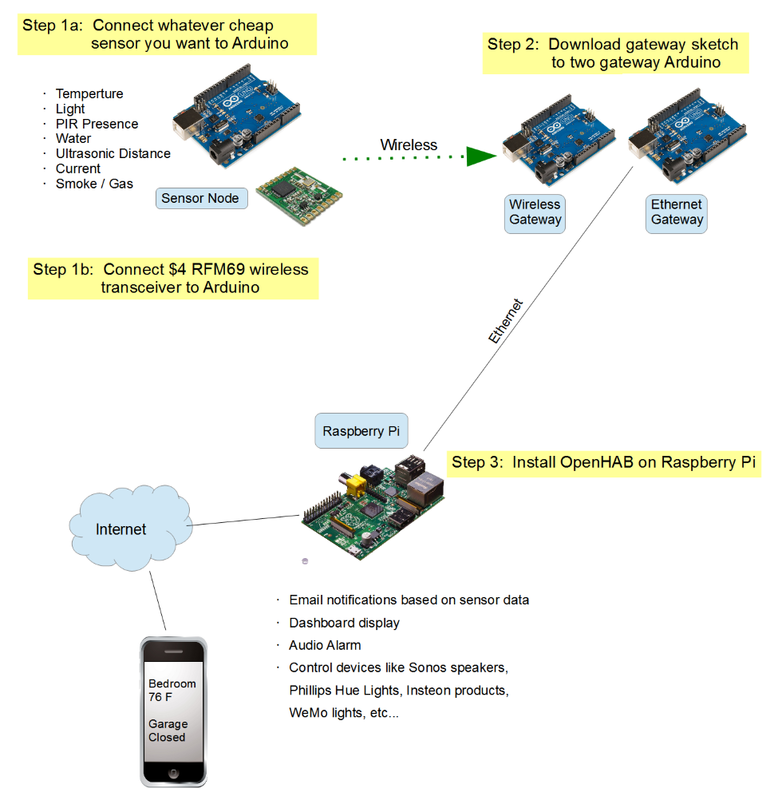 Thanks to OpenHAB for putting so much thought and flexibility into the home automation platform. I’m grateful to the people on the English OpenHAB Google forum for answering my many configuration questions. Thanks to Mosquitto for a great MQTT broker. Thanks to the developers behind the Arduino MQTT library and Low Power Lab for the Arduino RFM69 wireless transceiver library. Open Hardware and Open Software do amazing things. If someone wants to take my RFM69 gateway code and improve upon it, please do, it’s open source.